I am doing my first ever craft fair this Sunday. 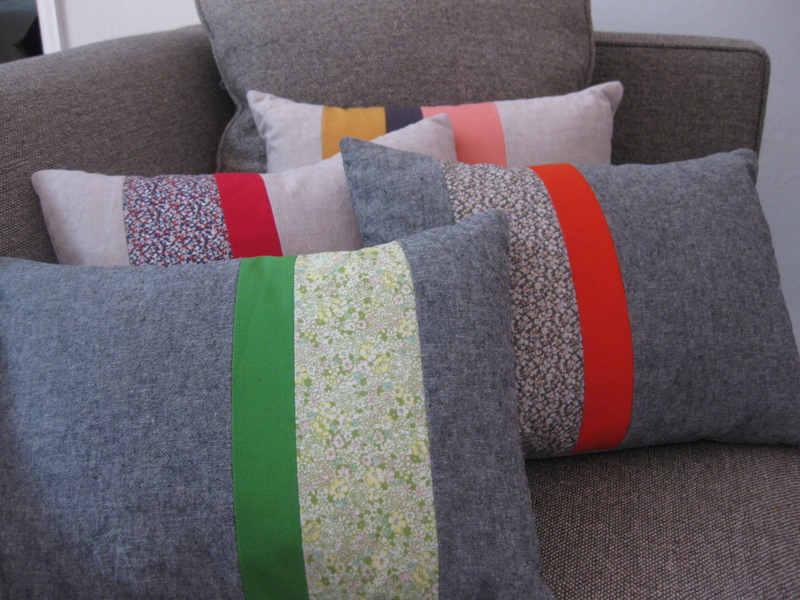 I’ve been so busy making cushions (pillows?–what is the difference?!) that I’ve almost forgotten about my quilts. But I have become a proficient cushion maker. 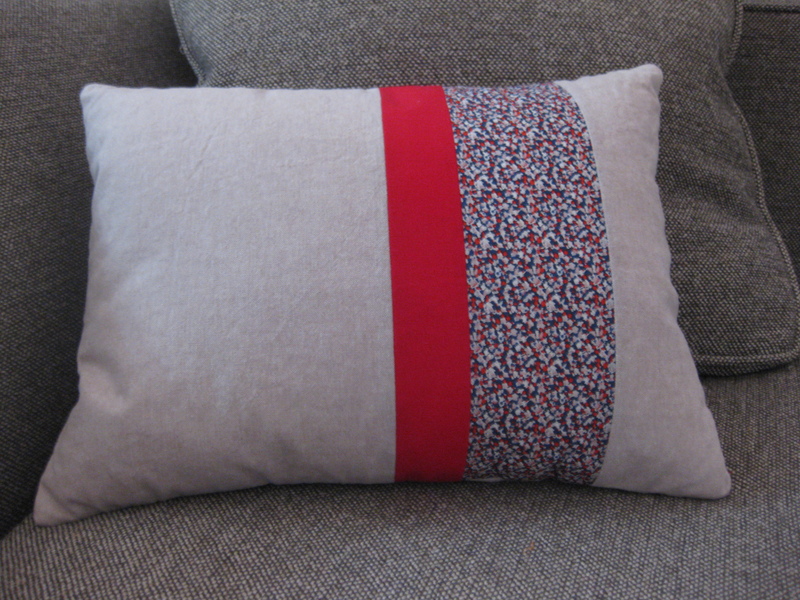 These cushions are made with Essex linen, Liberty Tana Lawn (for some), and Kona cotton. I lined them with a really nice quality muslin, which makes such a difference in the structure and sturdiness of the finished cushion. The inserts are down filled–so all in all they are quite luxurious! 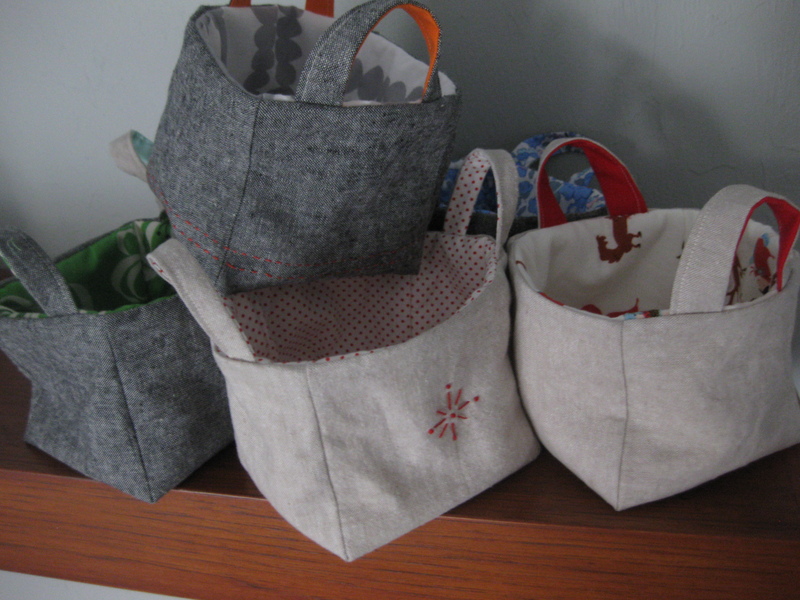 I’ve also been making little baskets. I really love the Red Riding Hood fabric–so cute with the little woodland creatures. This entry was posted in small projects and tagged Cushion, GLAM, GLAM craft fair, Liberty of London, linen basket on December 5, 2013 by brigitdermott. Do you wash your Essex linen blend material beforehand? I read that someone else said that material definitely shrinks more than 100% cotton. I prewash most of the time. Essex does shrink and the prewashing changes the texture. If the item is something that needs to be washed (like a pillow cover ) I prewash. If I want the keep the crisp look of the unwashed linen then I don’t. Hope that helps! Thanks so much for your quick reply! Yes, that helps me greatly! Cute! Love the cushions, the muslin lining is a great idea! Best of luck at the Craft Fair!